One of surfing's greats -- Woody Brown -- passed on at the age of 96, in 2008. WOODY BROWN (1912-2008) written in 2015. LEGENDARY SURFER: WOODY 'Spider' BROWN, last updated in 2008. -- "Of Wind and Waves: The Life of Woody Brown"
-- Honolulu Star-Bulletin, 7/30/2006: "Surf's Still Up for Woody Brown"
"SURFWISE follows the odyssey of 85-year-old, legendary surfer Dr. Dorian "Doc" Paskowitz, his wife Juliette, and their nine children¿all of whom were home-schooled on the beaches of Southern California, Hawaii, Mexico and Israel; they surfed every day of their lives, and were forced to adhere to a strict diet and lifestyle by their passionate and demanding, health-conscious father..."
The chapter on the surfing year 1965 has been reformatted for easier reading and printing. 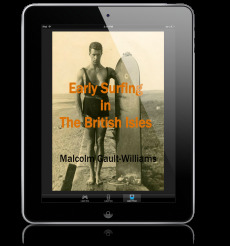 In 1965, surfing was already immensely popular in the developed countries. Yet, it -- and 1964 -- were years that demonstrated the growth and robustness of Peruvian surfing, born out of the surf culture of Waikiki around the time of World War II. 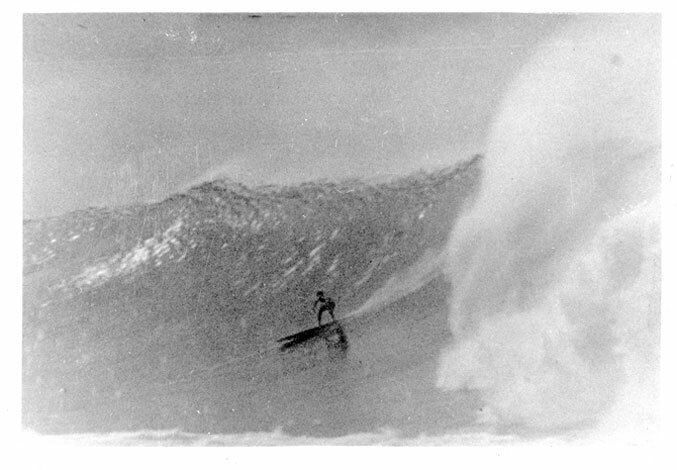 For this reason, much of this chapter details the Peruvian surf story up to 1965. A NOTE for teachers and parents: Some of the subject matter in this chapter may not suitable for viewing by children under 16. Miki Dora "All For A Few..."
Glenn Hening's WAVES OF WARNING has been serialized here at LEGENDARY SURFERS for nearly two years. With this posting, we complete the serialization of his book. Just click on this post's title or the link, below, to read any chapter in part 2, including the concluding chapters that have not been serialized. Thanks, Glenn, for letting us serialize the book and make it available for many of us who don't have the book. Fun read! Every once in a while, I am surprised by a goodie. Sometimes it's in my research when something obviously significant is first learned. Other times, it might be when I connect two previously unconnected dots to gain further insight into the progression of surfing. Often times, the goodie comes in the form of an email message from someone I've never communicated with before, but which leads to a wealth of information. A recent goodie came in email form from Karen Cotter, with the assistance of her sister Emily Fradkin. The two sisters had an aunt named Emily Campbell Kauha Davis (1896-1987). A school teacher at 20, Emily sailed away to Honolulu at age 22 to the horror of her parents. She settled in with delight, taught school, and soon after met and married Waikiki beach boy and later captain of the Waikiki lifeguards, John Kauha. After over a decade together, Emily lost John Kauha to cancer in 1939. "Anyway," wrote Karen Cotter, "from amongst my aunt's books I acquired two old poetry books by Don Blanding, published in 1923 and 1925 respectively, and in the back of one, written in pencil, is a list of "Beach Boys of Waikiki" in my aunt's hand which I thought you might find of interest..."
"For many years," Emily's niece Karen wrote, "my aunt wrote a newsy column in the Honolulu Advertiser in the '30s and '40s called 'Beachwalk Girl.' She often sent my mother columns which she thought my mother would enjoy - not all the columns for sure as I believe they were a daily item - perhaps only weekly, but we have a fat scrapbook full of the daily happenings in the neighborhood. My aunt lived on Seaside Avenue and Kuhio so was in the middle of the action! "... perhaps the list will be of some use in your ongoing research." Thank you, Karen and Emily. For those of you reading this who may have corrections on the names, more to add, etc., I would very much appreciate hearing from you. Please leave your comments.